Experts everExperts inin government governmentinsurance, insurance,wewespecialize specializein inthethe everevolving public entity insurance sector, so you don’t have to. evolving public entity insurance sector, so you don’t have to.As As an provide customized solutions anindustry industryleader, leader,MIDLANDS MIDLANDScan can provide customized solutions that include superior service for the agent and the insured. WeWe that include superior service - for the agent and the insured. offer the coverages that your clients need at competitive prices offer the coverages that your clients need at competitive prices that only MIDLANDS has the market presence to deliver. that only MIDLANDS has the market presence to deliver. ON THE BLEEDING EDGE | FEATURE But federal regulators, researchers, health insurers and medical providers are reacting cautiously or skeptically to this trend, which is seen as largely experimental and unproven compared to remedies in mainstream medicine. Some have even gone as far as equating it to quackery. In spite of this reaction, several industry insiders encourage self-insured employers to take a closer look at these alternative treatment options, which they say can pay tremendous dividends down the line. All Eyes on ROI With these procedures considered “investigational” by health insurers, selfinsured employers enjoy the freedom to decide on coverage terms without having to wait on reluctant carriers, explains Jason Hellickson, president of Harborview Healthcare and the Regenerative Orthopedic Institute, whose ROI acronym is telling. Describing the potential ROI as being in the thousand percentiles, he notes that there’s no additional cost to these treatments. In other words, it’s all pure savings. And he says they have saved employers anywhere from 70% to 85% compared to with orthopedic surgical costs. orthopedic costs for employers within their workers’ comp and health plans related to regenerative medicine. What’s so significant in his mind is that orthopedic costs are among the top five expenses for any large employer and generally account for 80% or more of overall workers’ comp injuries. He says these savings can quickly add up to millions each year. Beyond the potential for significant annual savings, he also mentions better health outcomes tied to a non-invasive, less painful procedure, as well as much less downtime. “In essence,” Hellickson explains, “surgery damages tissue to repair tissue, whereas we are able to help the body heal the tissue.” Self-insured employers that use regenerative medicine or cellular therapy can save in several ways, according to Morgan Pile, director of business development at the Strategic Cellular Therapy Network, a regenerative medicine consulting program, as well as founder of Arkansas Stem Cell Therapy and a global consultant at Willis Towers Watson. One example is (PRP) therapies that return workers’ comp claimants with ligament tears to work quicker and keep them off highly addictive pain medications. He cites significant savings ranging from 70% to 90% relative to surgical procedures requiring up to six months of pain injections. Pile credits Regenexx for taking the lead on helping incorporate regenerative medicine into group health plans, which can be as easy amending summary plan descriptions to allow for PRP. “It could be a covered treatment through these specific modalities,” he explains, also noting the potential to treat occupational injuries. He knows of at least eight Regenexx cases from employers whose savings surpassed $250,000, but believes that’s only the tip of the iceberg. For example, he notes the potential for $34 million in first-year savings for treating state of Arkansas employees. The estimate was based on just 40% or 50% of that population using regenerative medicine instead of surgical treatments that were actually paid in 2013 for knee replacements, knee and shoulder scopes and spinal fusion. The broad application of cellular therapy across numerous diseases means this portion of the nascent regenerative medicine market could generate anywhere from $20 billion to $100 billion in the next five to 10 years. The prediction was made by Michael Boo, chief strategy officer, administration and business development for Be the Match, which runs the National Marrow Donor Program. But for now, he says it’s largely confined to one or two licensed products with much left to prove in the eyes of skeptics. “Everyone is cautious about making sure that even if the treatment works, there’s not any untoward complications as a result of that,” he explains. ON THE BLEEDING EDGE | FEATURE by a handful of doctors who are trying to do the right thing. “Think about 90% of surgical treatments being eliminated because these treatments can work that well if done correctly,” he observes. to help employers and insurers build provider networks, as well as patients compare treatment options pertaining to their specific disease. The program arranges for transplants by paying hospitals for collection and physicians for patient physicals, as well as testing for infectious disease markers. The cost of a typical blood or marrow donation is about 15% to 20% of the total transplant cost. Network operators, such as Optum and Allianz, negotiate prices with primary or third-party insurers, or benefit managers. Whatever ends up happening with regenerative medicine’s place within the health care community, timing is a critical ingredient to its success. These treatments are effective only with early intervention, according to Boo. “We’ve seen often where patients go through the first or second remission for their cancers without being offered a transplant,” he notes. “And the science clearly shows that, in many cases, early access to transplant is good for the patient, but it’s also good for the economics, because repeated rounds of chemotherapy followed by a transplant, is unsuccessful and costly for patients.” He says another key message is a need for reasonable benefits that include reimbursement of travel expenses, good access to pharmaceuticals and after-care program management following each transplant. Be the Match’s national registry includes more than 12.5 million Americans and up to 25 million worldwide who are willing to donate peripheral blood and bone marrow, as well as cord blood units, for allogeneic or non-own cell source transplantation. It also connects with registries around the world to broaden the search for a match and has banked 209,000 cord blood units. A donor’s immune system is able to remain strong because just 1% to 5% of marrow is needed to save a patient’s life. explains. But with only about 2% of the world’s population familiar with regenerative medicine or cellular therapy, Pile says education is necessary to help advance these options. Another challenge is dispelling myths. For example, he notes that roughly half of patient marketing materials in the U.S. portray these treatments as illegal or a threat to unborn lives as seen with discussion about removing stem cells from human embryos. When skeptics are told that regenerative medicine is simply a matter of using a person’s blood and body fat to help people heal, he sees understanding taking shape. Pile would like to see a grassroots movement to educate patients about these treatment options and help the U.S. play a leading educational role. ■ Bruce Shutan is a Los Angeles freelance writer who has closely covered the employee beneﬁts industry for 28 years. SIIA’s International Conference provides a unique opportunity for attendees to learn how companies are utilizing self-insurance/alternative risk transfer strategies on a global basis. The conference will also highlight self-insurance/ART business opportunities in key international markets. Participation is expected from countries all over the world. Captive Industry Sees Solid Growth in 2015 and Looks for More in 2016 Numbers released for 2015 captive formations shows that captives are continuing to grow despite a lingering soft market. ince the beginning of the year, U.S. captive domiciles have been releasing results of captive activity in 2015. These results show that overall captive formation was strong even while pricing results for the property and casualty market were down. Captives are being formed all over the U.S. in both established domiciles and newly legislated domiciles and, according to industry insiders, 2016 is shaping up to be an even better year for the industry. states have indicated that more RRGs are looking to form in the next year. According to Michael Lynch, captive director in Nevada, “I am seeing more RRG applications that I have in the past couple of years, also segregated cell applications continue to grow.” While this doesn’t necessarily indicate a hardening market, it does indicate that alternative risk transfer insurance is becoming an option for any type of insurance market. ■ Karrie Hyatt is a freelance writer who has been involved in the captive industry for more than ten years. More information about her work can be found at www.karriehyatt.com. 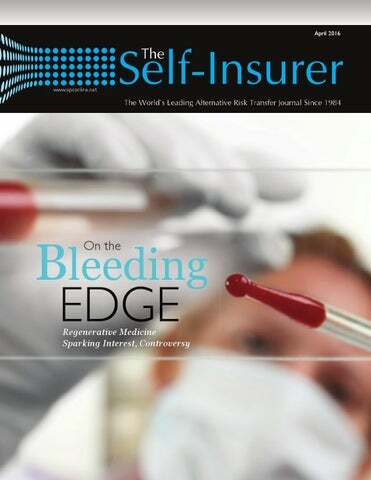 major challenge to Texas employers who sponsor self-insured employee health programs was averted when the Texas Department of Insurance shelved its consideration of adopting stop-loss insurance regulations that would have followed the general framework of the NAIC Stop-Loss Model Act which SIIA has questioned in a variety of venues. “Immediately after learning of the TDI proposal SIIA filed a letter questioning the need to regulate the product in the absence of any consumer complaints or demonstrated consumer harm,” said Adam Brackemyre, SIIA Vice President of State Government Relations. Within about five months of its regulatory foray, the TDI quietly dropped the idea. communicated the concerns of Texas businesses and the self-insurance industry to regulators and political leaders. The effort can serve as a model for future policy advocacy anywhere, according to SIIA member Catherine Bresler, Vice President of Government Relations for The Trustmark Companies of Lake Forest, Illinois. SIIA participation in the Austin meetings included Brackemyre, Bresler, Robyn Jacobson of Houston TPA Entrust, Jeff Gavlick and Ted Kennedy of AIG and Marc Marion and Barry Koonce of American Fidelity. They were part of a coalition that included a cross-section of the state’s insurers, brokers, TPAs and representatives of both the Texas Association of Business and the Texas Association of Health Underwriters. “The last thing any government body wants is people coming only from elsewhere to tell them how to run their business,” Bresler said. She was gratified to see the quick response by SIIA and others to the surprising announcement of proposed new regulations. “This first surfaced last October in the course of a usual TDI review of regulations,” she said. “Some provisions in the regulations were being updated and the stop-loss proposal came along with that. SIIA members who stand ready to defend self-insurance against any legislative or regulatory challenges. ■ SIIA members who wish to join the state government relations team are invited to contact Adam Brackemyre at the Washington, DC, ofﬁce, (202) 463-8161 or abrackemyre@siia.org. pioid abuse is a growing epidemic impacting individuals across the nation. According to the U.S. Centers for Disease Control (CDC), 44 people die every day due to opioid overdose. Patients are commonly prescribed these strong and often addictive painkillers to alleviate pain after an accident, injury, or illness and too many are not able to properly wean themselves off of the need for their pain reducing effects. The opioid crisis in our nation has become particularly concerning for employers, as the ongoing utilization of these drugs by injured workers is driving workers’ compensation plan costs. New advances in bio analytics are providing workers’ compensation plan administrators with new insight into ways to identify if a patient may be more likely than the average individual to experience opioid overuse. By implementing such advanced bio analytics, workers’ compensation plans are better equipped to both help patients fully recover without ongoing prescription medication use and control workers’ compensation plan costs. term dependency on the drug for the patient. Such long-term dependency on drugs that merely mask pain symptoms can result in a return-to-work delay or extended disability for patients who are not moving toward full recovery by using more effective treatment-based clinical methods. having significant long-term opioid usage. The study found that in New York State specifically, 14% of non-surgical workers’ compensation claimants prescribed narcotics were identified as longer-term users of the drugs. In California, according to its Workers’ Compensation Institute, only 3% of the state’s doctors prescribe 55% of dispensed opioids. Over the last decade, the state has seen a significant increase in opioid prescriptions. Between 2002 and 2011 California’s Workers’ Compensation Institute (CWCI) identified a 300% increase in opioids. In 2002 approximately 1% of all injured worker outpatients were prescribed opioids, but by 2011 that%age had increased to 5% and payments for opioid prescriptions had risen from 4% to 18% in that time period, representing at 321% increase in payments in only nine years. Employers who require the test for employees identified as at risk, are armed with data and knowledge about an employee’s potential for opioid abuse. Such knowledge allows for a more discerning review of the individual’s claims and treatment plan and allows a nurse case manager to more greatly emphasize a return-to-work strategy that focuses on weaning the patient off of the prescribed medication before use becomes long term. Fortunately, recent advances in bio analytics are making it possible for workers’ compensation plan administrators to predict potential highcost, high-risk claimants and intervene before long-term addiction occurs. After testing is completed, the facilitating laboratory delivers an interpretive report to an employer and its workers’ compensation plan administrator that enables a treating physician to lead injured workers to their best possible outcome by prescribing the most effective medications at optimal dosages, minimizing any trial and error. The interpretive report is designed to give physicians the information they need to make more informed treatment decisions. Every report is unique, based on the genetic attributes of the individual patient and focuses on three key elements: 1. Explaining the metabolic behavior of an individual 2. Identifying what medications to rule out and avoid immediately 3. Providing direction to the physician on the optimal prescription treatment plan Ideally, an employer’s pharmacy benefit manager (PBM) and/or medical management program partner are engaged in the discussion and work to aid in the identification of injured workers that would benefit from a PME referral. A personal metabolic evaluation (PME) is a biometric test intended to measure drug sensitivity for an individual patient for current and future care. The PME is an easy to administer test that will discern how an individual will metabolize commonly prescribed workers’ compensation medications. This trend of long-term opioid use is particularly concerning for workers’ compensation plans, since the medical benefits portion of a workers’ compensation claim may be open for a number of years and may be open for the lifetime of the injured worker, resulting in significant annual plan costs. According to WCRI opioids account for up to 3% of costs in shorter-term claims and between 15 and 20% of all medical costs on longer term workers’ compensation claims. Jessica Marabella is the marketing and communications specialist at POMCO, one of the nation’s largest third party administrators. Prior to joining POMCO, Jessica was a senior account executive and managed a variety of businessto-business and business-to-consumer clients to develop and lead marketing and communications strategies. While working at POMCO Jessica has assisted in the development of thought leader communication pieces, including white papers, webinars on industry trends and compliance regulations and industry newsletter content. Jessica contributes weekly to POMCO’s Health Care Educator blog and has been published in trade and business publications. We Build and distriBute selF-Funded plans, products and ideas. We Build distriBute plans, products and ideas. 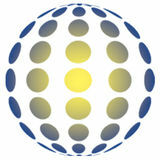 Bringand us your product, selF-Funded your innovation, your ideas, your needs, us your your ideas, yourdistribution. needs, and Bring we’ll build youproduct, a solution orinnovation, application your and put it into and we’ll build you a solution or application and put it into distribution. pecialty drugs made up less than 1% of all written prescriptions in 2014, yet they accounted for 32% of total drug expenditures (according to research by Express Scripts1). The expense of these medications is a liability for Medicare, private insurance and the self-insured alike, one that threatens the healthcare system. Putting a few solutions in place now can help lessen the impact these expensive drugs have on your bottom line. Why do Specialty Drugs Cost so Much? All medications, not just specialty drugs, are becoming more expensive. Even generic drugs have seen price increases because each time an old medication is re-patented, the price of the medication seems to rise. In the case of these new, novel therapies, the most common explanation for their high price tag is that the medications are expensive to develop and approve. Pharmaceutical companies explain that they have a responsibility to create a profit for both their investors and to continue funding future medication development. While this is no doubt true, there is much debate about the validity of pricing for all medications and there has been a call for greater transparency from pharmaceutical companies about how prices are set. Such a move would require a large reform of the system. Until that takes place, expect prices to continue to go up. hepatitis C drug, the year-over-year increase in per capita drug spending was still over six percent.4 The number of people taking specialty drugs is increasing, too. The same study showed that the number of Americans taking at least $100,000 worth of medication a year tripled between 2013 and 2014. Usage and costs appear to be increasing exponentially, which means it is critical to find solutions to manage the financial burden of these medications. SPECIALTY DRUGS | FEATURE thoughtful conversation about the health value the patient can expect in the context of other factors including cost, side effects, quality of life and life expectancy. New drugs are generally priced higher because they are new, like a new shirt would be more expensive than last season’s fashion. Just because a medication is new does not guarantee a dramatic improvement in one’s condition any more than a new shirt will keep one any warmer than an old one. A pharmacist or doctor has the breadth of knowledge to look at the entire formulary and find the best solution for the patient’s health and pocketbook. therapy, a patient can be given a lower cost drug first to see if it has therapeutic benefit before jumping directly to the high-cost specialty drug. Another way to guide utilization is through dosage management wherein a patient is given a small amount of a medication rather than a full course. Then, if the treatment proves ineffective, a full, expensive course of treatment does not go to waste. Leverage Technology We’ve all heard the saying “there’s an app for that,” and pharmacy is no exception. While many of these specialty drugs are unique and therefore cannot be replaced with a brand name or generic alternative, price discrepancies across geography and pharmacies do exist. Apps like Prescription Saver5 and GoodRx6 allow a patient to use their mobile phone to track down the best price for their prescription. The rise of technology has created a gigantic storehouse of statistical information related to prescription use and general health that can play a role in bringing down prescription costs. Predictive analytics is the process of mining deep wells of data to identify trends and forecast probability. If we apply this predictive modeling to prescriptions, a clearer picture can emerge of how drug therapies interact with certain conditions and how likely a medication is to succeed or fail based on the patient and the disease state. This, in turn, means the provider and the payer can make a choice about the best course of drug therapy that is informed by concrete data. GET ON BOARD before it's too late! NOW is the time to experience “Real” cost savings, enhanced management, progressive approaches to reduce pharmacy spend and gain understanding of the murky waters of the PBM industry. SPECIALTY DRUGS | FEATURE of price control and reduction. It is the PBM that sets the formulary – the medications in a certain category that will be stocked and accessible to the insured – and manages it to best effect. Depending on one’s industry, there are medications that might be appropriate to have within the formulary to best address the needs of the prospective patients. Self-insured payers need to communicate with their PBM to ensure that the formulary is being well managed and customized to meet the new demands of specialty drugs. PBMs can do even more to manage costly medication. They have contracts with national retail pharmacies and can thus negotiate for the greatest discounts on medications. Discounts can be achieved through PBMs by managing the uses of mail order prescriptions, too. Prescriptions by mail often come with added discounts and, as an additional benefit, can often improve medication adherence. It pays to review the practices of one’s PBM to ensure it is doing all it can to keep costs down. PBM’s have access to plenty of their own electronic data regarding prescriptions and usage within the plan, so make sure they are effectively reporting data to you, the payer. AARP Public Policy Institute PRIME Institute at the University of Minnesota), “Rx Price Watch Report: Trends in Retail Prices of Specialty Prescription Drugs Widely Used by Older Americans, 2006-2013,” by Leigh Purvis and Dr. Stephen Schondelmeyer, November 2015.
design practices for employer credits and opt-outs must be revisited prior to the next annual enrollment. In this two part article we cover this important IRS guidance. Part I covered the impact of Notice 2915-87 on HRAs, FSAs and HSAs. This Part II covers the guidance related to the IRC 4980H excise tax and FSA carryover provisions. The McNamara-O’Hara Service Contract Act (SCA), the Davis-Bacon Act and the Davis-Bacon Related Acts (DBRA) require workers employed on some federal contracts to be paid prevailing wages and fringe benefits. The SCA and DBRA typically allow employers to satisfy the fringe benefit obligation by providing benefits of a sufficient dollar value. Usually, employers can select the benefit or benefits they provide. As an alternative, employers usually can satisfy their fringe benefit obligation by paying cash equal to the fringe benefit, or a combination of cash and benefits. If an employer provides SCA or DBRA fringe benefits by allowing employees to elect health coverage, but the employee declines coverage, the employer usually must pay the employee cash or provide benefits of an equivalent value. Many employers noted that when employers satisfy their SCA or DBRA fringe benefit obligations by offering employees the option to enroll in the employer’s health coverage, the amount that must be provided to employees who decline coverage as cash or other benefits is substantial. In addition, amounts that are available as cash payments or other benefits would not reduce the employee’s required contribution for health coverage. Employers that satisfied their SCA or DBRA fringe benefit obligation by allowing employees to elect health coverage would also need to provide a significant additional subsidy to make the offer affordable and avoid Section 4980H(b) penalties. This subsidy would result in some employees receiving amounts significantly more than the SCA and DBRA requirements. The IRS said it will continue to study the interaction of the SCA and DBRA with the employer shared responsibility rules. However, until the applicability date of further guidance and at least for plan years beginning before January 1, 2017, the amount of the employer’s SCA and DBRA fringe benefit obligation that the employee can use to elect health coverage will reduce the employee’s required contribution even if the employee can elect other benefits or cash. Employers can also treat SCA and DBRA fringe benefit payments as reducing the employer’s required contribution on Form 1095-C. However, the IRS encourages employers not to adjust Form 1095C so that employees can qualify for premium tax credits. The IRS says that if the IRS contacts an employer regarding a possible excise tax under Section 4980H(b), the employer can respond and show that it was entitled to the relief and that it would have qualified for an affordability safe harbor if the employee’s contribution had been reduced by the fringe benefit payment. Likewise, employees are not required to take fringe benefits into account as reducing their required contribution when determining premium tax credit eligibility. most employees. However, employees who enrolled in the Marketplace, but did not receive the advance premium tax credit, may need more information from their employers to determine if they can claim the premium tax credit. Employers using the relief in the Notice should notify employees that they can obtain accurate information about their required contribution by calling the number listed on Form 1095C. Regardless of how the employee obtains this information, the employee can obtain the premium tax credit if the required contribution is not affordable and the employee is otherwise eligible regardless of the information reported on that employee’s Form 1095-C due to the relief. Cost of Living Adjustments Notice 2015-87 also provides cost of living adjustments for the employer mandate affordability safe harbors and excise taxes. Under the ACA, premium assistance is available if the employee’s required contribution for employer coverage exceeds 9.5% of household income. For plan years after 2014, this 9.5% threshold is adjusted annually for cost of living changes. As a result, employees can obtain premium assistance for Marketplace coverage if the cost of employer coverage exceeds 9.56% of their household income for the 2015 plan year and 9.66% for the 2016 plan year. The IRS is considering methods for reporting required contributions for employees subject to the SCA or DBRA, such as indicator codes. If adopted, these codes will not apply to plan years beginning before January 1, 2017.
harbors, the employer is deemed to provide affordable coverage if the employee’s required contribution for single coverage is no more than 9.5% of the employee’s rate of pay, employee’s W-2 wages or the federal poverty line for a single individual. However, unlike the premium tax credit regulation, the employer mandate regulations did not provide any adjustment to the 9.5% threshold for the employer safe harbors. This resulted in an inconsistency where premium assistance was available only if the employee’s contribution exceeded 9.56% of household income for the 2015 plan year, but the affordability safe harbor for employers was capped at 9.5%. Due to this inconsistency, the IRS intends to amend the Section 4980H regulations so that the employer affordability safe harbors are adjusted with the premium assistance threshold annually. Thus, employers can use the 9.56% and 9.66% for the 2015 and 2016 plan years, respectively, when determining if coverage met the affordability safe harbors. Employers can also use the adjusted amount to determine whether coverage under a multiemployer plan is affordable under the IRS’s interim guidance for multiemployer plan contributions. The IRS also intends to amend the Section 6056 (i.e., Form 1095C) regulations so that the threshold for qualifying offers of coverage is adjusted. Generally, an employer can use the qualifying offer method for reporting if the employee’s required contribution for employee-only coverage does not exceed 9.5% of the mainland single federal poverty line. This change will be applicable back to December 16, 2015, and employers can rely on the adjusted amounts in applying the qualifying offer alternative reporting methods. The ACA includes a $2,000 “sledgehammer” excise tax based on the employer’s total number of full-time employees when an employee obtains a Marketplace subsidy because the employer did not offer minimum essential coverage to the employee and/or dependents (Section 4980H(a)). The ACA also assesses a $3,000 tackhammer tax for each full-time employee who obtains a Marketplace subsidy because the employer did not offer affordable, minimum value coverage (Section 4980H(b)). These penalties are adjusted annually after 2014. Accordingly, the sledgehammer penalty for the 2015 calendar year is $2,080 and $2,160 in 2016. The tackhammer penalty for the 2015 calendar year is $3,120 and $3,240 in 2016. Leaves of Absence Notice 2015-87 also includes highly anticipated guidance regarding the calculation of hours of service during a leave of absence. When determining if an employee is full time under the employer mandate, employers must include each “hour of service,” which means each hour for which an employee is paid, or entitled to payment, for performing services, as well as each hour that the employee is paid, or entitled to payment by the employer, for a period when no duties are performed due to vacation, holiday, illness, incapacity, disability, layoff, jury duty, military duty or a leave of absence under Department of Labor (DOL) Regulation 2530.200b-2(a). The DOL regulations are typically used to define hours of service for retirement plans, which has resulted in some confusion. The IRS clarified that the employer mandate regulations do not incorporate DOL Regulation 2530.200b-2(a)(2), which requires hours to be credited for certain periods when no duties are performed “irrespective of whether the employment relationship has terminated.” Thus, an hour of service does not include any hours after an individual terminates employment. Hours of Service Not Required Due to Payments from Certain Plans Moreover, the IRS stated that it intends to incorporate the limitations in DOL Regulation 2530.200b-2(a)(2)(ii) and (iii). An hour of service for Section 4980H purposes does not include: 1. Hours of service associated with payments from a plan maintained solely to comply with workers’ compensation, unemployment or disability insurance laws. 2. Hours for payments that solely reimburse employees for medical or related expenses incurred by the employee. (although the 501-hour limit still applies to an employee of an educational organization during employment breaks in a calendar year under Treas. Reg. 54.4980H-3(c)(6)(ii)(B)). Employer Must Credit Hours for Short-term and Long-term Disability Payments Hours that an employer must credit when no duties are performed must be credited regardless of the payment source. Employees must be credited with hours for short-term or long-term disability payments regardless of whether the employer pays directly or indirectly. For example, an employer must credit hours if it pays disability benefits directly through a trust or if paid by an insurer to which the employer paid premiums. However, the employer does not need to credit hours for payments if the employer did not contribute directly or indirectly. An arrangement that the employee paid for on an after-tax basis would be treated as an arrangement the employer did not contribute to and would not result in any hours of service. Moreover, employers need not credit hours to employees receiving workersâ&#x20AC;&#x2122; compensation payments from a state or local government. (for example, by working at a hospital cafeteria during summer break). The amendments will apply as of the applicability date in the regulations, but not earlier than the first plan year beginning after the date of the proposed regulations. Notice 2015-87 clarifies that participants in the AmeriCorps program are not employees of AmeriCorps or the grantee receiving assistance through AmeriCorps for which the participant is providing services for purposes of the employer shared responsibility rules of Section 4980H. under Section 4980H and related information reporting under Section 6056, an offer of coverage under TRICARE for any month based on employment with an employer that results in TRICARE eligibility is treated as an offer of minimum essential coverage by that employer. little consequence when government entities would independently be ALEs, with one of the few consequences being the allocation of any reduction of assessable payments under Section 4980H(a) or the cap on assessable payments under Section 4980H(b). Separate EINs Required for Each ALE and ALE Member The IRS clarified that each separate employer entity that is an ALE or ALE member, or that provides self-insured health coverage to employees, must use its own EIN for reporting purposes regardless of the aggregation rules. Thus, separate Forms 1094-C must be filed by each ALE member and each form must have a separate EIN. This is not changed by a government entity’s use of a designated government entity (DGE) to file Forms 1094-C and 1095-C.
entity and the name and EIN of the applicable county as the employer. The Forms 1094-C would be filed with the Forms 1095-C for each employee of that county, which would identify the county as the employer. A state treats the state executive and its agencies, the judiciary and legislature as three separate employers. The executive, judiciary and legislature must each have separate EINs and file Forms 1094-C and 1095-C with the EIN of the applicable employer. Notice 2015-87 addressed the receipt of health care from the Department of Veterans Affairs (VA) and HSA contribution eligibility. As modified by the Surface Transportation Act, an individual receiving VA medical benefits can make HSA contributions if the medical benefits consist only of disregarded coverage, preventive care or hospital care or medical services under any law administered by the VA for service-connected disability. As a rule of convenience, the IRS will consider any hospital care or medical services received from the VA by a veteran who has a VA disability rating to be hospital care or medical services under a law administered by the VA for service-connected disability. Additional Guidance on Health FSA Carryovers The IRS modified the cafeteria plan rules to permit health FSA carryovers of up to $500 from year-to-year in Notice 2013-71. Notice 2015-87 provides updates based on common questions. The IRS clarified that the carryover must be included in determining whether COBRA coverage must be offered because the health FSA is underspent. determination seems to hinge on when the qualifying event occurs. If it occurs prior to the end of the run-out period from the prior year, then it would appear that the carryover amount, which is not yet known, would not be a factor. However, if it occurs after the end of the run-out period, when the carryover is known, the carryover amount would be a factor. Additional guidance on the intended application of this rule would be welcome. The IRS also clarified that the COBRA premium for a health FSA can only include the salary reduction election and non-elective employer contributions for the year, plus a 2% administrative fee. In other words, carryovers are not included when calculating the COBRA premium for a health FSA. is not required to allow a COBRA beneficiary to elect additional salary reductions for the carryover period or provide employer contributions during the carryover period. The ability to carry over amounts is limited to the applicable COBRA continuation period (for example, 18 months due to termination of employment). The health FSA cannot charge a premium for the carryover in later years. month). At the end of 2015, Lou and Maureen each have $26 left in their health FSAs. Lou elects to contribute $600 to the FSA for 2016. Lou’s $26 is carried over to the health FSA next year, giving Lou a $626 health FSA balance for 2016. However, Maureen does not elect to contribute to the health FSA in 2016, so she forfeits her $26 and has no health FSA balance for 2016. The IRS stated that a health FSA can limit carryovers to a maximum period. For example, a health FSA can limit the ability to carry over unused amounts to one year. that provide carryovers in their health FSAs should revise their COBRA notices to describe how the carryover impacts the premium and that amounts carried over will be available until exhausted or the COBRA period ends. The IRS also clarified that a health FSA can limit carryovers to individuals who elected to participate in the health FSA in the next year, even if a minimum salary reduction is required. The Affordable Care Act (ACA), the Health Insurance Portability and Accountability Act of 1996 (HIPAA) and other federal health beneﬁt mandates (e.g., the Mental Health Parity Act, the Newborns and Mothers Health Protection Act, and the Women’s Health and Cancer Rights Act) dramatically impact the administration of self-insured health plans. This monthly column provides practical answers to administration questions and current guidance on ACA, HIPAA and other federal beneﬁt mandates. Attorneys John R. Hickman, Ashley Gillihan, Carolyn Smith, and Dan Taylor provide the answers in this column. Mr. Hickman is partner in charge of the Health Beneﬁts Practice with Alston & Bird, LLP, an Atlanta, New York, Los Angeles, Charlotte and Washington, D.C. law ﬁrm. Ashley Gillihan, Carolyn Smith and Dan Taylor are members of the Health Beneﬁts Practice. Answers are provided as general guidance on the subjects covered in the question and are not provided as legal advice to the questioner’s situation. Any legal issues should be reviewed by your legal counsel to apply the law to the particular facts of your situation. Readers are encouraged to send questions by email to Mr. Hickman at john.hickman@alston.com. Steven Mindy, Esq. a senior associate in the Washington, DC ofﬁce of Alston & Bird, LLP assisted with this article. t’s far from a novel concept that Plan Administrators of self-funded health plans governed solely by ERISA are subject to a ﬁduciary duty to prudently manage plan assets and act in the best interest of plan participants. ERISA indicates that “a ﬁduciary shall discharge his duties with respect to a plan solely in the interest of the participants and beneﬁciaries and... in accordance with the documents and instruments governing the plan,”1 and that Plan Administrators must discharge duties “with the care, skill, prudence and diligence... that a prudent man acting in a like capacity and familiar with such matters would use in the conduct of an enterprise of a like character... .”2 Codiﬁed in 1974, ERISA’s protections are designed for the protection of plan beneﬁciaries; while ERISA’s provisions impose certain limitations and obligations upon ﬁduciaries, ERISA has not been crafted for their protection. ERISA applies to a broad spectrum of employee benefits, among them health benefit plans, pension plans and even benefits such as severance pay plans. The vast majority of the law interpreting ERISA’s provisions is concerned with pension plans; though pension plans serve different purposes than health benefit plans, ERISA sets identical standards for the administration of each, with few exceptions. Perhaps the most important and basic requirements of ERISA are those laid out within 29 USC § 1104 – the requirements to both prudently manage Plan assets and administer the Plan strictly in accordance with the governing plan documents. providers that “ERISA requires you to pay this claim in full.” TPAs and self-funded health plans are similarly aware that this assertion, as a catch-all, is severely misguided. What some have discovered, however, is that the assertion that ERISA requires a health plan to pay a given claim in full can become true, by virtue of language within the plan document that makes it true. Of course, the statement that ERISA itself requires any particular level of payment is not technically accurate, but instead ERISA imposes a duty on the Plan Administrator to ensure that it abides by the plan document’s terms. It has been made clear by the courts that Congress’ intent in passing ERISA was not, in general, to control the substance of agreements between employers and beneficiaries, but rather to ensure that such agreements, if falling within the purview of ERISA’s protections, are followed. According to one court, ERISA’s fiduciary duty imposition was designed “to prevent fiduciaries from depriving beneficiaries of what they concededly had been promised.”3 In this manner, ERISA acts as a regulating body of statutes, with corresponding common law and regulatory interpretations – with respect to pension plans, health benefit plans and many other types of employee welfare benefit plans. As we know, the Plan Administrator of a self-funded health plan may be given broad discretion to interpret the plan document’s provisions, decide issues of fact related to claims for benefits and otherwise determine the benefits payable by the plan for a given claim. That discretion is not just useful for making determinations; it is also useful when it comes to having the Plan Administrator’s determinations reviewed in court. Affording the Plan Administrator discretion gives the Plan Administrator a certain amount of deference by a court – but only in certain cases. A common misconception is that the Plan Administrator is always afforded the deferential “arbitrary and capricious” standard of review, but that is not necessarily the case. the idea that the entity responsible for funding claims has no incentive whatsoever to deny claims. Notably, however, that “apparent” conflict does not necessarily affect the standard of review ultimately used, but instead triggers a court’s examination into that dual role as the holder of both the sword and purse-strings. The burden is on the claimant to demonstrate that there exists some reason to believe that a conflict has affected the Plan Administrator’s decision, more than the mere fact of the apparent conflict. The claimant, notably, need not at this stage prove that a conflict has affected the Plan Administrator’s decision – but the claimant merely needs to demonstrate that there is some reason to think that it has happened. From there, the burden switches to the Plan Administrator to prove that the conflict did not, in fact, influence its decision. Trans World Airlines, Inc. v. Sinicropi, 887 F. Supp. 595, 608 (S.D.N.Y. 1995) aff’d, 84 F.3d 116 (2d Cir. 1996). Geddes v. United Stafﬁng Alliance Employee Med. Plan, 469 F.3d 919, 929 (10th Cir. 2006). Fought v. Unum Life Ins. Co. of Am., 379 F.3d 997, 1003 (10th Cir. 2004). Penn v. Howe-Baker Engineers, Inc., 898 F.2d 1096, 1100 (5th Cir. 1990). McDaniel v. Chevron Corp., 203 F.3d 1099, 1108 (9th Cir. 2000). Struble v. N.J. Brewery Emp. Welfare Trust Fund, 732 F.2d 325 (3rd Cir.1984). IIA’s Annual Self-Insured Workers’ Compensation Executive Forum, May 24th25th at the JW Marriott Scottsdale Camelback Inn Resort & Spa, is the country’s premier association sponsored conference dedicated exclusively to self-insured Workers’ Compensation. In addition to a strong educational program focusing on such topics as excess insurance and risk management strategies, this event will offer tremendous networking opportunities that are speciﬁcally designed to help you strengthen your business relationships within the selfinsured/alternative risk transfer industry. ApPlIcAtIoN Of BiG DaTa You have the data, now discover how to use it. What level of historical data has been available and how was it put to use? What level of data is now available and how has it been applied? Learn about the benefits of retention, finances, new business and others that come with the use of “big data” from Brian Billings, Data Strategist, Midwest Employers Casualty Company and Stan Smith, Predictive Analytics, Milliman. UsInG BiG DaTa To PrEdIcT AnD PrEvEnT LoSsEs When you think of loss control and safety, you probably think of safety manuals, safety directors, check lists, safety meetings, OSHA, DOT and inspections. Loss control is much more than that – loss control means profits! Learn about using data to predict and prevent losses that incorporates analytics, demographics and predictive modeling from Don Boatright, Chief Operating Officer, Alabama Trucking Association (ATA) Workers’ Compensation Fund and Todd Hager, Director of Claims, Alabama Trucking Association (ATA) Workers’ Compensation Fund. program and its positive results will be discussed with takeaways for employers in the audience. ThE RoAd To EmOtIoNaL ReCoVeRy AfTeR CaTaStRoPhIc InJuRy The emotional component of recovery is too often overlooked and under addressed in the traditional medical and rehabilitation process following a significant injury. Jon Pearson, Director of Life Path Services, QLI will show how the best long-term outcomes are often achieved by skillfully addressing the process of emotional acceptance as well as key aspects of fostering purpose, hope and optimism for injured workers and their families. ThE ErOsIoN Of ThE ExClUsIvE ReMeDy Exclusive remedy protections provided by workers’ compensation laws across the country are under attack. The historic benefit to employers included protecting employers and co-workers from tort based claims arising from an injury; the corresponding benefit to the employee came in the form of timely benefits, despite any negligence of the injured worker. These tenets have been undermined by the establishment of certain causes of actions not subject to the exclusivity provisions and by the prospect of “opt out” legislation, increasing the risk of litigation and exposure to employers. Charles H. (Clay) Clark, Huie, Fernambucq & Stewart, LLP and Frederick L. (Fred) Fohrell, Wilmer & Lee, P.A. Attorneys at Law will explore this troubling trend surrounding exclusive remedy and the probable impacts to all parties subject to the workers’ compensation system. speakers from California and New York, will discuss the history and success of ADR programs in their respective states. Roy Barnes, Esq., Jack J. Frazier, Senior Vice President, American Global LLC and Hon. Steve Siemers, Ret. WCJ will speak to the factors that have helped to decrease the exposure of employers who have negotiated use of these programs. They will share that you can reduce costs, without reducing benefits and in fact can provide a greater level of service to the injured employee, highlighting the role of the Ombudsperson, who acts as an advocate for the injured employee. Because an ADR program must be collectively bargained and jointly operated and managed by both labor and management, all parties are aligned and incentivized to work together to provide an injured worker with the support, care and services they require, to return to health and work. A properly managed ADR program should provide for a safer and more harmonious work environment, as well as reduced exposure and costs. SiG TaX UpDaTe William L. Shores, CPA, President, Shores, Tagman & Company, P.A., one of the country’s top SIG tax experts, provides an update on the latest IRS enforcement activities and accounting practices that you should consider for your fund. the resulting surgeries that too often are lose-lose. Anne Alabach, Workers’ Compensation Manager, CPC Logistics, Inc., Jennifer Christian, MD, President, Webility Corporation and Peter Greaney, MD, Medical Director, President & CEO, WorkCare will talk about exciting opportunities for improving outcomes. OuT FrOnT IdEaS LiVe This interactive session will discuss hot topics with panelists in the Workers’ Compensation arena as a part of the Out Front Ideas webinar series. You don’t want to miss this engaging and informative hour! Kimberly George, Senior Vice President, Senior Healthcare Advisor, Sedgwick will moderate the discussion held by Mark Walls, VP Communications & Strategic Analysis, Safety National. BaTtLe Of ThE BlOgGeRs Join this exciting panel with Mark Walls, Vice President Communications & Strategic Analysis, Safety National, David DePaolo, CEO/President, Editor-in-Chief, WorkComp Central, Robert Wilson, President and CEO, Workerscompensation.com, LLC and Michael Gavin, President, PRIUM as they discuss hot topics impacting Self-Insureds and SIGs in the workers’ compensation arena. ■ For more information on the program, sponsorship opportunities and registration, please visit www.siia.org.